It's back to basics this week. Squares, Squares, and more squares. 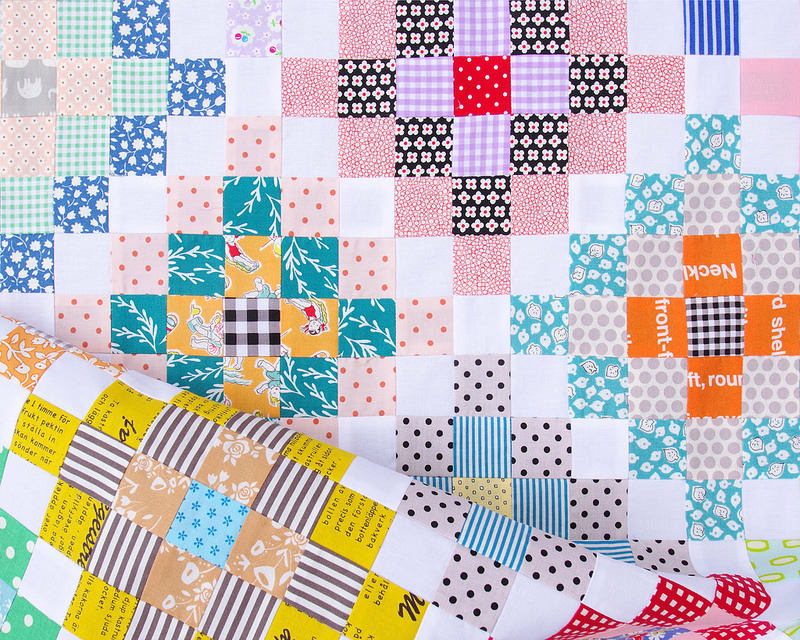 I do love traditional quilt design, simple patchwork, and working from stash, so this Many Trips Around the World Quilt design suits me perfectly! 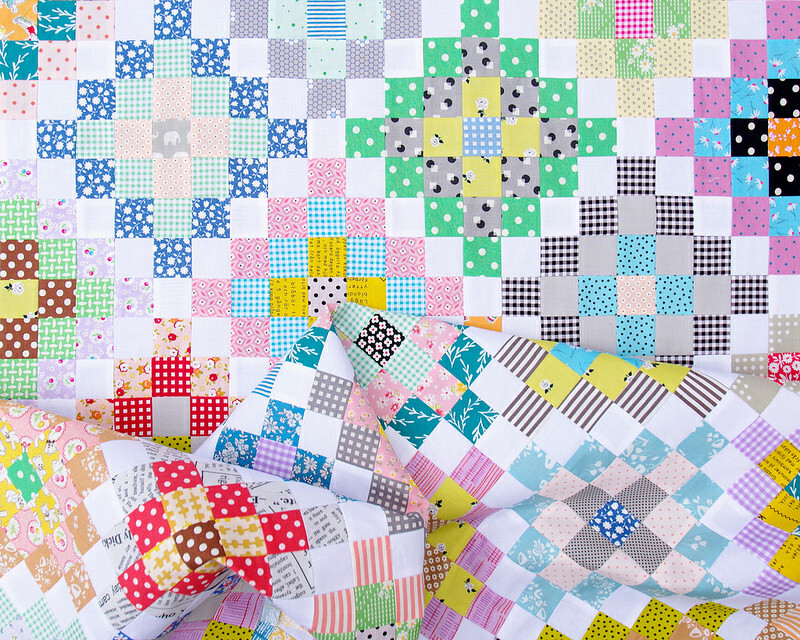 It also is an extension on my previous quilt (and quilt pattern) - The Scrappy Day Trip Quilt - this time adding an extra trip for each block. 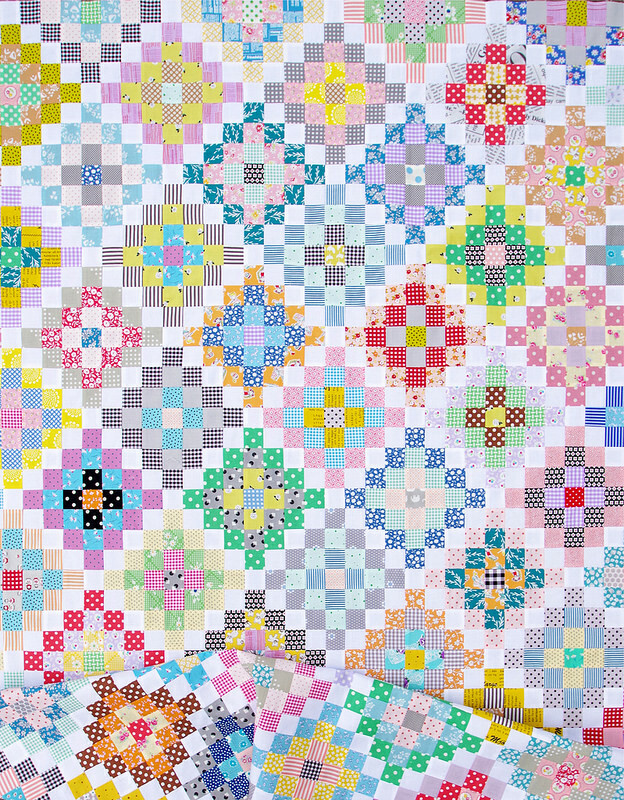 This Many Trips Around the World Quilt design is a great scrap buster project and represents hours of cutting, puzzling, and sewing together a whole bunch of patchwork pieces. 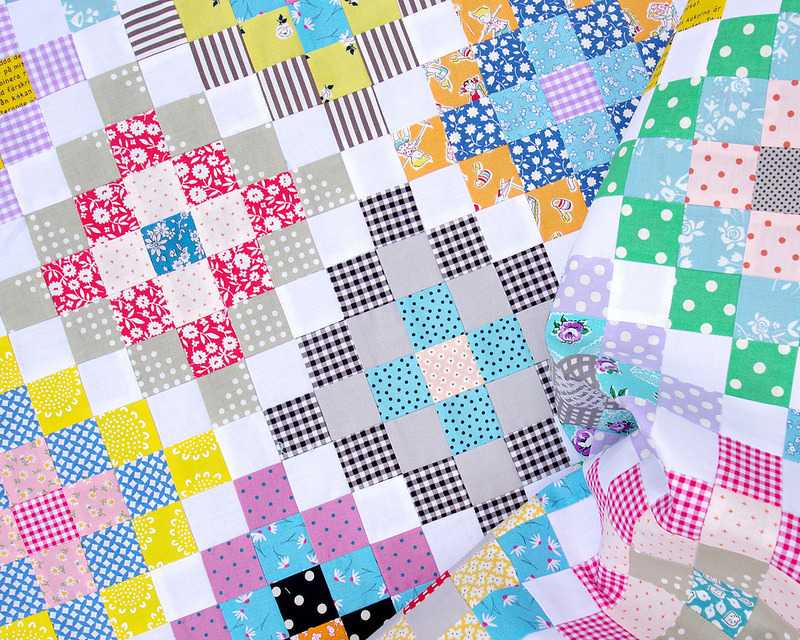 Having said that, I am always determined to find the easiest way to put together a quilt; to simplify the process and at the same to ensure that when it comes to sewing the quilt top together that all the seams nest. 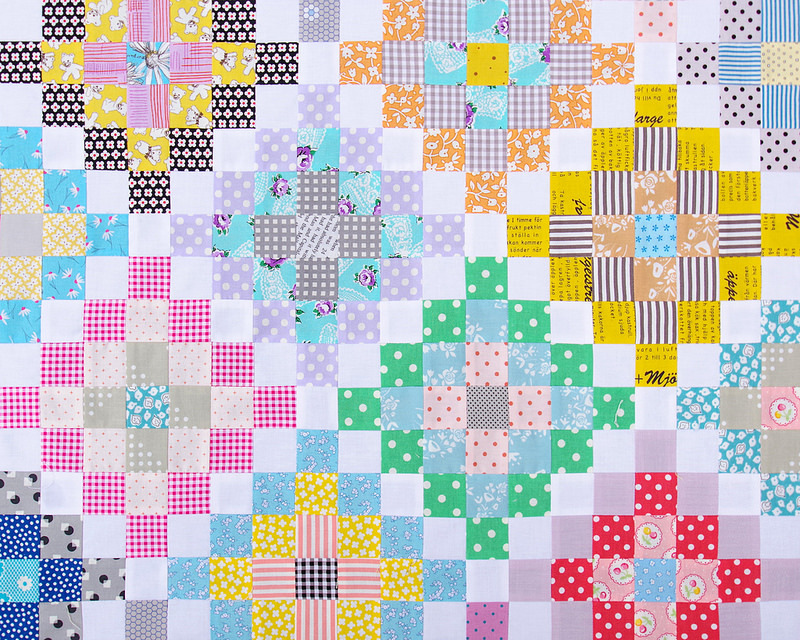 So I revisited my Scrappy Day Trip Quilt Pattern - which is a block based design with strip pieced sections - and I reworked it for the extra trip - or round of squares - around the center square. This allowed me to work on just one block at a time; cutting fabric, strip piecing and sewing together each block as far as was possible. 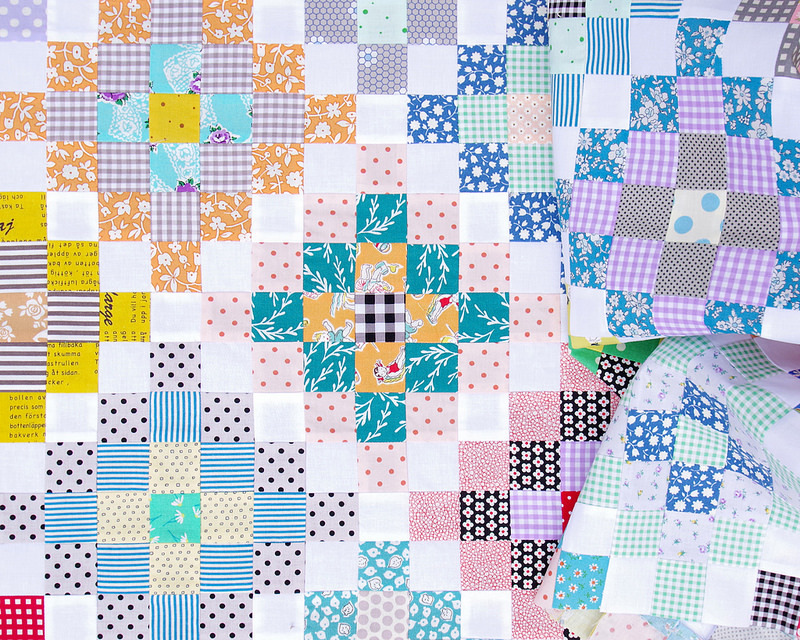 Once all 50 blocks were ready - plus a whole bunch of half blocks to fill the edges - I could arrange and re-arrange the blocks until I was happy with the layout, and then sew together the quilt top in rows. Mind you, it was still a bit of a puzzle, and sewing together the quilt top required my careful attention to ensure that all the pieces ended up in the right place. 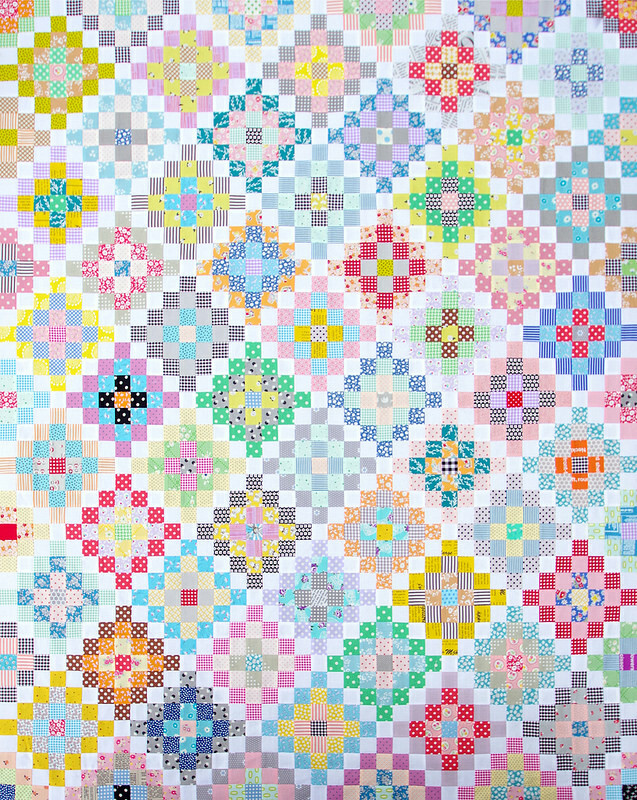 I can look at this quilt top now and say how fun it was to make, but at the time of sewing my inner voice demanded to know why the small pieces, and why so many!! Of course, when all the quilt blocks are laid out on the floor, and the quilt top is ready to be sewn together, there's no stopping until it is done. Quilt top measures 49 inches x 61 inches. 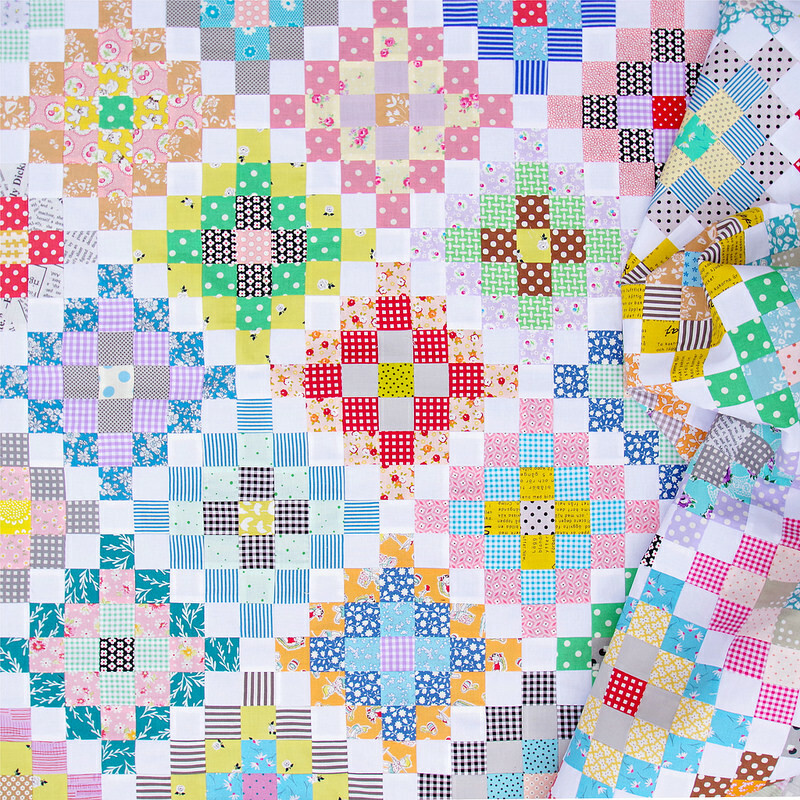 I love this scrappy and colorful quilt top, and all the time spent carefully choosing fabrics, cutting, and piecing has been worth it. 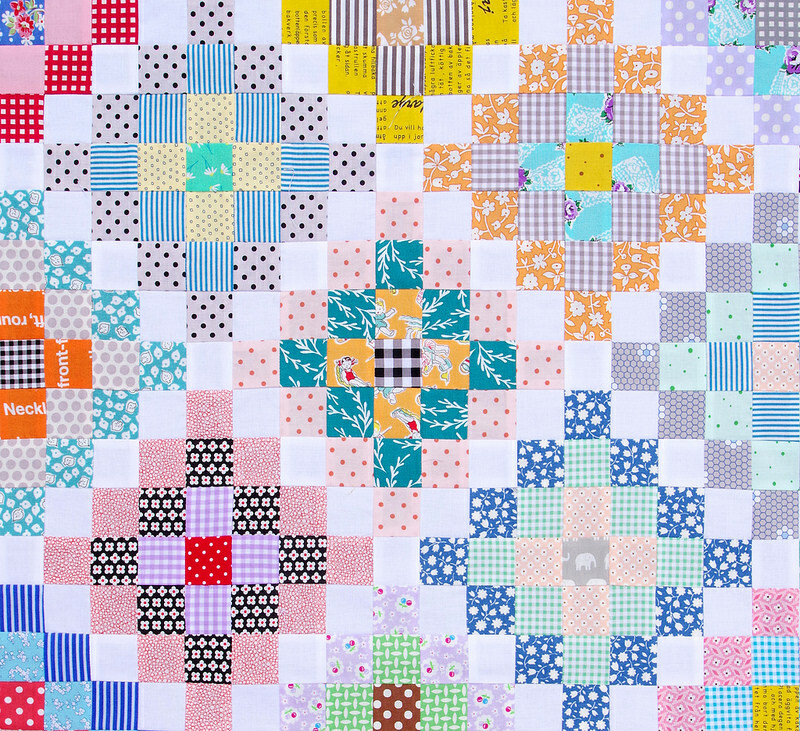 I have a feeling that there may be more Many Trips Quilts in my future. 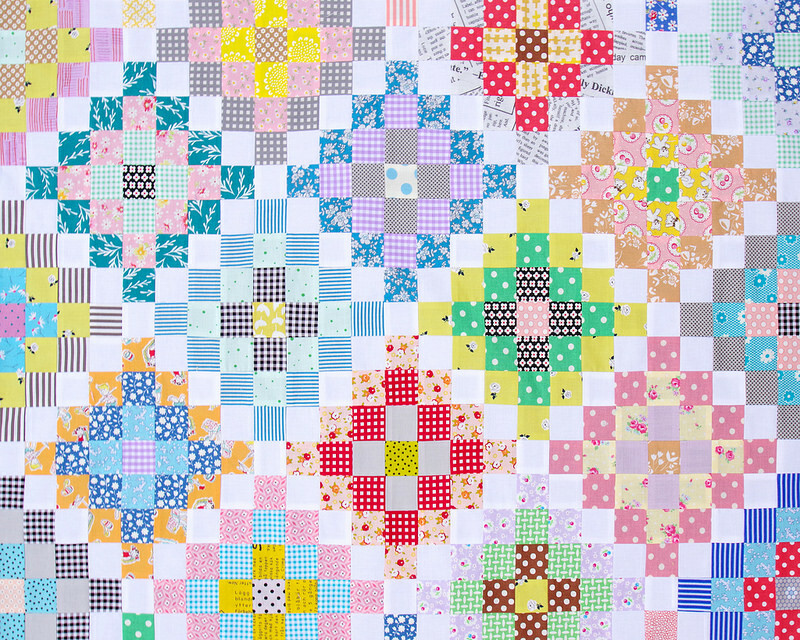 Although I am not so much looking forward to basting the quilt top, I cannot wait to start quilting it! Thank you for stopping by and scrolling through the many photos! Beautiful, do you use a sheet or template or? to put your squares on? Just wow, Rita. Just wow. I'm always in awe of your skills and patience to do this deceptively "simple" patterns so concisely! Beautiful! 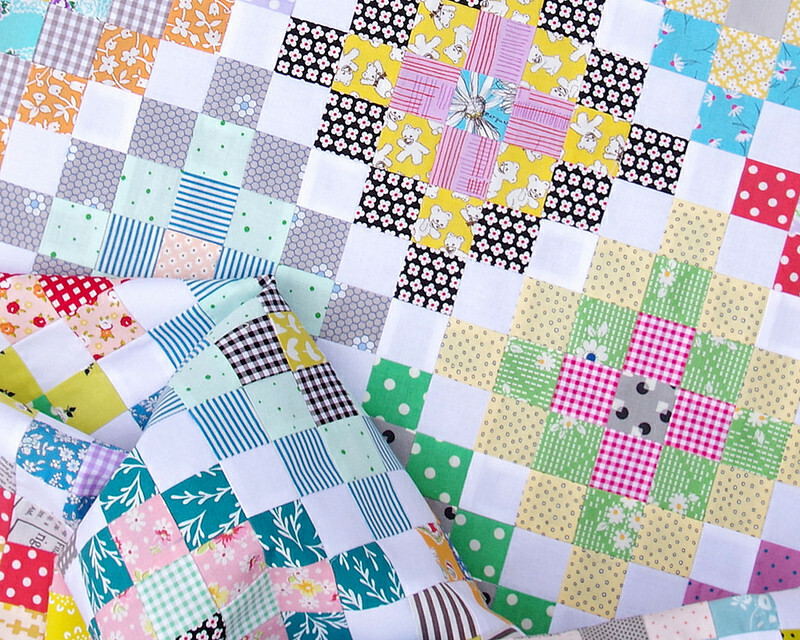 And so many small squares! 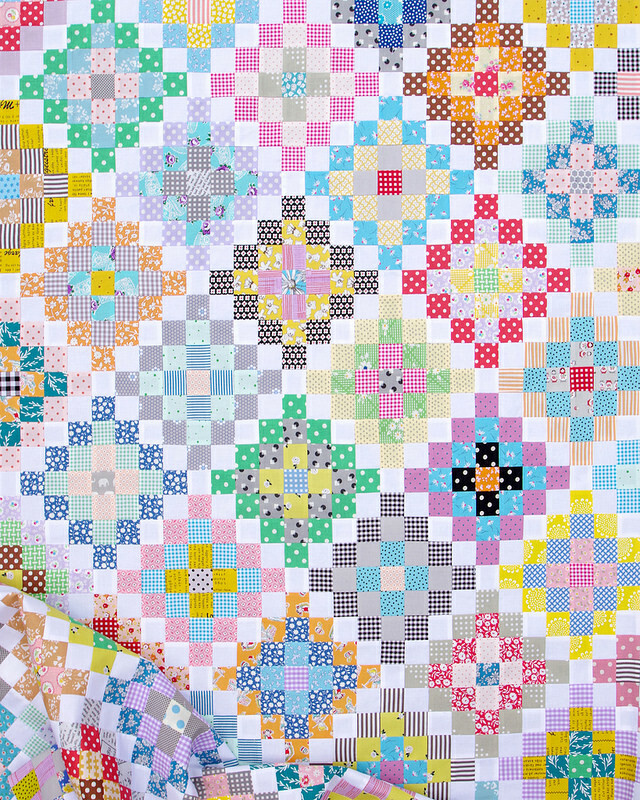 The colors in this quilt are so perfect. Bright but not loud, fun to look at but not too busy. Your quilts are always amazing, but this one calls to me on a different level. The colors, the design... wow. Beautiful work! LOVE LOVE!!! On my to do list! Beautiful :-) It has a granny square quilt look to it. Very clever! Stunning! The scrappier, the better and this is the best! Amazing job.............well done ! 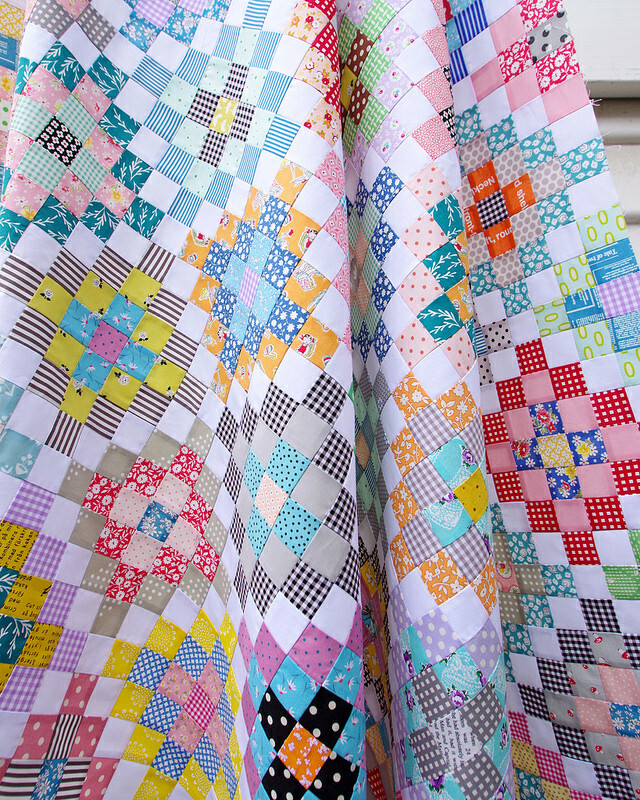 Love this quilt ! I always enjoy scrolling through your photos, Rita! Another beauty! Wow! Next year, when my daughter goes off to college, I will move all my quilting stuff into her room. I am so looking forward to having some design wall space. If I lay anything out now it is instantly cat fodder. Thanks again for the inspiration.